The Institute aims at promoting the study and research in religions, history and culture of the East. Reputed scholars from around the world take advantage of the excellent facilities provided at the library of the Institute. Research projects are awarded to young scholars on various aspects of oriental studies while annual Fellowships are given to senior and junior research scholars. Reputed scholars are invited to deliver the Government Research Fellowship Lectures, which are later published by the Institute. Courses in World Religions are conducted on a regular basis. The Institute annually publishes a prestigious Journal, which is widely distributed to universities and scholars all over the world. We also publish books and reprint rare books, which are in great demand by scholars and the lay public. The Avabai B Wadia Endowment makes it possible to hold the Avabai Wadia Memorial Lectures each year when a distinguished scholar is invited to present a detailed paper on his / her area of specialization. The Avabai B Wadia Research Fellowships have been recently instituted to be awarded to persons pursuing academic research. The Dinshaw J Irani Memorial Lectures are held each year when Indian and foreign academics present their work. Global Essay Competitions in English and Persian have been organised and judged by an international panel of judges. The Institute has recently entered into an agreement with the Department of Persian Studies, University of California, Irvine, to facilitate an exchange of scholars and information. Preservation of our collection of ancient manuscripts and books under expert guidance. So far three International Congresses on Oriental topics have been organised – in 1989, 1995 and 2000, when a number of international scholars presented papers at each of the Congresses. The proceedings of the Congresses were printed and sent to reputed scholars, universities and social research institutes throughout the world. Between 2001 and 2010 the Institute organised a series of National Seminars on “Ferdowsi and his Shahnameh” (2001), “The Life and Work of Dr. Sir J. J. Modi” (2004), “Universal Influence of Moulana Jalaluddin Rumi” (2005) and “The Contribution Made By The Parsis To The Development Of Different Aspects Of Education In The 19th and 20th Centuries In Western India” (2009). The Proceedings of the Seminars on “Ferdowsi and his Shahnameh” and the “Universal Influence of Moulana Jalaluddin Rumi” have since been published. The most recent Seminar on “Architecture As Social History: Reflections On Bombay/Mumbai” held on January 23 and 24, 2010, was a great success. Exhibitions have also been organised with the Prince of Wales Museum of Western India on ‘Parasika’ and with Iran Culture House on the Shahnameh. Lectures are delivered by eminent scholars at regular intervals on various topics. The Goolestan Bilimoria Endowment enables the Institute to hold Inter-school/inter-college Seminars, debates and essay competitions on oriental and religious topics. These are organised annually with a view to motivate youth and attract them to religion, social development and research. Keenly interested in history, languages and linguistics, the President, Mr. Muncherji N. M. Cama, is the Chairman of the Bombay Samachar Pvt. Ltd. He is a on the Board of several charities and is particularly interested in enhancing educational standards for the less fortunate and helping to provide medical treatment for the less privileged. 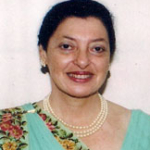 Besides shouldering her responsibilities as Trustee and Joint Honorary Secretary of the K R Cama Oriental Institute, she is a Trustee of the Foundation for Development of Udwada (FDU), a Tourism Corporation of Gujarat Project, and has helped to set up a permanent museum – The Information Centre there. Till 2017 she was associated with and Honorary Secretary of the Indian Red Cross Society Maharashtra State Branch and its thirty-five District and Sub-District Branches for 25 years. She is a Convenor of the Bombay Chapter of the Temple of Understanding and continues to be associated with the Council of World Religions for Peace, New York. Born in Nice, France, Sir Dinshaw was educated in Great Britain from where he completed his business studies at New Hampshire College. Sir Dinshaw is keenly interested in education and sits on the Board of Trustees of several schools in Bombay, Poona and Gujarat. Besides his active involvement with the J. N. Petit Library of which he is the President, he also serves as the head of several philanthropic trusts. Very fond of music, he is on the Committee of the National Centre for the Performing Arts. He has an abiding interest in art, aesthetics, history and philology. Mr Petit is presently the senior partner of Vigil Juris, Advocates, Solicitors and Notary. He enrolled as an Advocate in 1968 and passed the Solicitors Professional Examination at the first attempt in 1970. 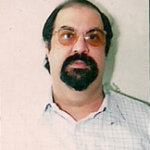 Mr Petit is presently the President of B D Petit Parsee General Hospital and also a past president of The Malabar Hill Club Ltd. (formerly known as W.I.A.A. Club Ltd). 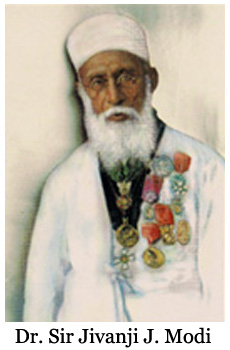 He is a member of the Executive Committee of the Bombay Society for Prevention of Cruelty to Animals, a Director of The Zoroastrian Co-operative Bank Ltd, a Trustee of the J B Petit High School for Girls and on the Managing Committee of the J N Petit Institute apart from other charities and institutions. Mr Petit was formerly associated as a member of the Sub-Committee of the Miscellaneous Legislation and Shipping Sub-Committee of the Bombay Chamber of Commerce and Industry. Mr Rubens is a Partner of Vigil Juris, a leading law firm of Mumbai. Mr Rubens is a legal professional with over twenty-seven years of experience. 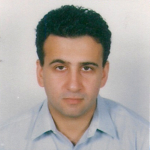 He has extensive exposure in driving critical assignments in legal operations across his career with proven success in ensuring optimum results proficient in running successful method-oriented operations and taking initiatives for business excellence through process improvement and standardisation. His special interest and achievements are mentoring of new members to court-craftmanship and other leadership skills. Being a social activist, he has advised and appeared for various minority institutions and schools. Dr Mody is the Joint Honorary Secretary of the K R Cama Oriental Institute. She is also the Chairperson of the Research Committee and has been editing and publishing the various books and journals of the Institute since 2000. 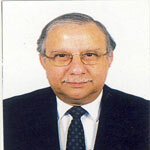 An active academic, Dr Nawaz Mody was the Sir Pherozeshah Mehta Professor of Civics and Politics and the Head of the Department of Civics and Politics, University of Mumbai. A Fullbright Scholar at Cornell University, Ithaca, New York, Dr Mody obtained her Ph.D. degree from the University of Mumbai. She has authored a number of research papers and books, including The Parsis in Western India: 1818 to 1920 (1998); Women in India’s Freedom Movement (2000); Revitalising Indian Democracy (2001) and edited and published the four volumes of Enduring Legacy: Parsis of the 20th Century (2005). She has been the Director of the J N Tata Endowment for the Higher Education of Indians. She is presently the Advisor of the Garib Zarthostiona Rehethan Fund.